The Bill to set up an independent regulatory body for electricity will be presented in Parliament next month, said Director General, Public Utilities Commission of Sri Lanka (PUCSL), Prof. Priyantha Wijayatunga. He said the regulatory body will help to approve tariffs for electricity and ensure that rates are revised in a transparent manner. "An independent institution comprising professionals is essential to monitor the efficiency of all public institutions that provide services," Prof. Wijayatunga said. In response to a question on the proposed new tariff rates for electricity due to come into effect from next month, he said the Ceylon Electricity Board (CEB) which incurs a massive loss due to the rising world fuel prices has to revise its rates to cover its operational cost. A Treasury decision last year to withdraw the subsidy granted to the CEB was the reason to revise the tariff structure. The CEB will now be forced to buy fuel to generate thermal power at market prices. The CEB which paid Rs. 55 per litre for diesel last year amidst sky rocketing world crude oil prices will now be invoiced at an average price of Rs. 85 per litre with indications that fuel prices will increase further. The Treasury had to subsidise the CEB in keeping with the escalating crude oil prices in the world market. The CEB has not been able to increase tariffs according to oil prices. Prof. Wijayatunga said it is not fair to burden the people who do not have electricity with tariff revisions. It is the consumer who should pay and not the entire country. Around 22 per cent of the households in the country do not have electricity. The cost and the difficult terrain in rural areas are some of the reasons cited by the authorities for the delay in providing electricity to these households. The Director General said the electrification rate in the country which is around 78 per cent is better compared to India, Bangladesh, Nepal and Pakistan which is less than 50 per cent. 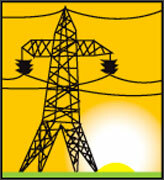 Sri Lanka's electrification rate increases by around two to three per cent every year. "By revising electricity rates the CEB will not be making profits but will cover its operational costs. What is important is an efficient management to improve management efficiency which will help the institution to provide a better service," he said. When chamber heads were contacted for their views on the proposed tariff rates they said with such a major revision low income families will be severely affected and high electricity consuming industries will have to be closed. Chairman, Ceylon National Chamber of Industries (CNCI), A.K. Ratnarajah said high energy consuming industries such as the porcelain, tiles, rubber and garments will be adversely affected. Industries will not be able to compete with low quality products. With the decline in the quantity of exports people will lose employment", Ratnarajah said. Managing Director Aitken Spence Hotels Malin Hapugoda said the CEB segregated the hotel sector from other industries by charging a higher rate. "It is not fair to discriminate the hotel industry which is considered one of the main contributors to the economy. The hotel sector wants the CEB to treat it as any other industry", he said.